Stem injection works by injecting a calibrated dose of herbicide directly into each cane of the weed, The herbicide is quickly absorbed by the plant and is translocated through the roots, giving effective control of notoriously difficult weeds. 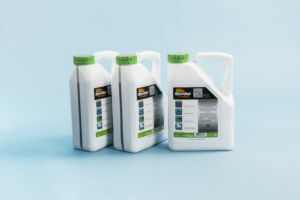 A single correctly applied treatment is sufficient to eradicate a healthy plant. Knotweed injection treatment offers several advantages over chemical spray treatments.­ For example; injection treatment is not restricted by wet or windy weather, risk of damage to surrounding plants is reduced, calibrated dosage reduces wastage and maximises effec­tiveness. The stem injection tool has a needle guard to prevent injury, a twist action control dial that calibrates in 0.5ml intervals and a robust case. 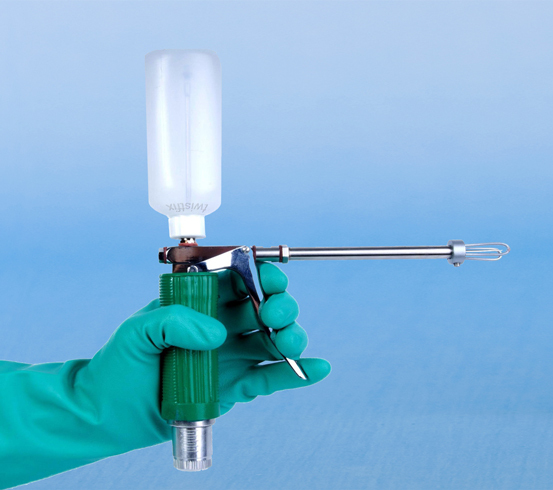 Whilst herbicides should be applied by those qualified to do so, the injection gun targets difficult knotweed and hogweed infestations quickly and effectively. Roundup Pro Bio is the professionals choice for treatment of hardy weeds such as Japanese knotweeds and Ivy . Used by local councils and groundsmen to control grasses and broad-leaved weed on roadsides, driveways, paths and hard grounds.